Who is Valve competing with in 2012? It is game makers like Electronic Arts? Retailers like Amazon? It’s possible Valve is eyeing bigger targets. For example: Microsoft. In the past decade, it’s been far more common to see retail, technology, and computing companies get into video game development than to see video game developers branch in the other direction. Amazon.com’s opening of the Amazon Games Studio for instance or Apple blazing a trail with the iTunes App Store four very long years ago. Valve is not your typical video game company though, and the company has made a habit out of the unexpected over the past decade. Half-Life 2 and Counter Strike: Source marked Valve’s entry into the retail business back in 2004. On Wednesday it announced its intention to broaden its purview even further with Steam Software, new, non-gaming apps sold and supported by the Steam service. According to an announcement made on the Steam homepage, Valve will launch Steam Software on Sept. 5. These non-gaming apps will be tools for “creativity and productivity” and they will be supported by Steam Cloud for storage and will be automatically updated through the Steam client just like the games the company sells. Just like many of those games, independent developers can create their own software for sale in Steam Software and submit them through Steam Greenlight. It’s none too surprising that Valve is looking to take on productivity app makers like Apple, Adobe, and Microsoft. In July, the Google Android Steam client was updated with new categories for software in categories like Accounting, Photo Editing, Software Training, and Education. It also makes good business sense. Why should musicians automatically settle for Garageband, no matter how useful that software may be, when they might be able to make a better version themselves and find a hungry audience through Valve’s widely used digital distribution client? 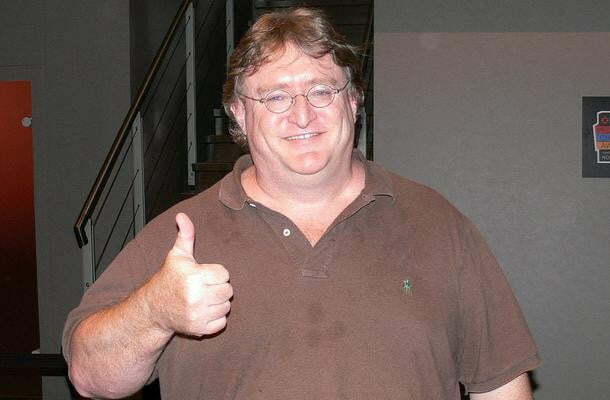 The announcement of Steam Software speaks volumes about Valve’s future in the technology business though. The company and its president Gabe Newell have been vocal opponents of Microsoft’s Windows 8 operating system and the broad push toward closed platforms in the computing business. Valve is trying to offer both users and small business an outlet for alternatives to those products made by massive corporations. Why use Microsoft Office if an alternative with carefully controlled quality is available through Steam? Pushing Steam onto Linux so it can be free of Microsoft and Apple-controlled platforms is just more evidence that Valve is rapidly moving beyond video games. September 5th will be just another small part of a grand change.